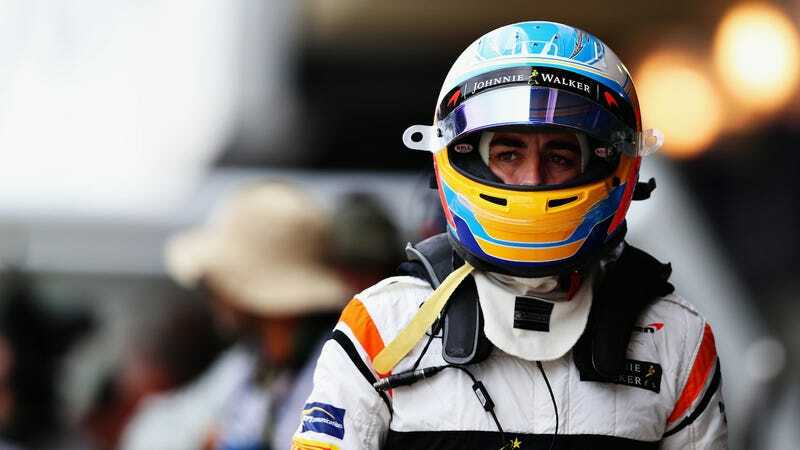 After apparently enjoying racing about 22 more hours than he’s used to at the Rolex 24, Formula One’s Fernando Alonso decided he’ll compete in all of the FIA World Endurance Championship races that don’t conflict with his F1 obligations this season. He, presumably, hates sleep. Motorsport.com tallied it up to a 25-race season, which is a lot of hours in a race car. With the OK from his McLaren F1 team, Alonso will race WEC’s top Le Mans Prototype 1 class in a 1,000-horsepower hybrid with Toyota Gazoo Racing. His season starts with a six-hour race at Spa-Francorchamps in May, and includes the 24 Hours of Le Mans—something we’ve expected him to race for a while. Former F1 driver Mark Webber said recently Alonso shouldn’t have done the Rolex at Daytona over the weekend in the first place, because “if you’re doing F1 you can’t afford distractions.” But if we’re honest, it’s a big distraction to have an engine die on you almost every time you get into a race car. Alonso will live. Le Mans is also a big checkbox for Alonso, who never fails to mention his main goal in racing, which is to win the Triple Crown. The crown, in this case, includes the Monaco Grand Prix, the Indianapolis 500, and the 24 Hours of Le Mans. Alonso already has wins at Monaco, had a definite shot at winning his Indy 500 debut last year until his engine gave out, and will make his first-ever Le Mans start this year. While he’s likely not hitting all of his goals this year with his schedule being so packed, Alonso will have five races in a row between F1 and WEC starting in June—with a cool 24 hours of racing at Le Mans in the middle. With such a packed racing schedule, all we can ask is that Alonso not a.) fall asleep in the middle of a race, or b.) leave his cute little kitten at home. The cat will get lonely. Alonso will be in Toyota’s No. 8 TS050 Hybrid when he’s not racing in F1 this season, if you’re looking for him. He shouldn’t be hard to miss, since the LMP1 class’ most competitive teams left Toyota’s drivers to race against themselves.